The Hillsborough Township Bureau of Fire Safety has created a new program that will give citizens the chance to help the Fire Departments. The Adopt a Hydrant program was created to help keep our fire hydrants clear and available. Citizens and civic groups (Boy Scouts, etc.) can "adopt" a hydrant, water tank, or hydrants in their neighborhood. The people who adopt hydrants will help the Fire Department by keeping them clear of snow in the winter and overgrowth in the summer, as well as reporting blocked or damaged hydrants year round. Information packages are available through the Hillsborough Township Bureau of Fire Safety at 369-4313 ext. 178. 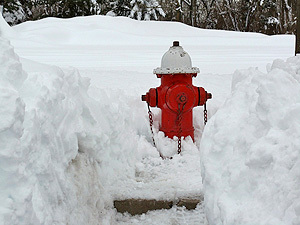 Keep hydrants free of snow and ice. 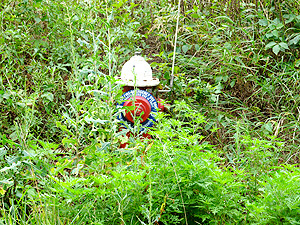 Keep hydrants free of overgrowth (grass and weeds). 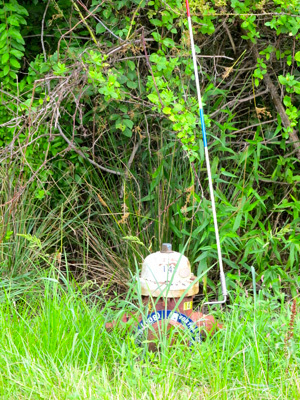 Report a hydrant with a missing or damaged marker. Report any damaged or leaking hydrants to the Bureau of Fire Safety 369-4313 ext 178. Report any vehicles blocking hydrants to the Hillsborough Police 369-4323. Alter or attempt to repair hydrants. 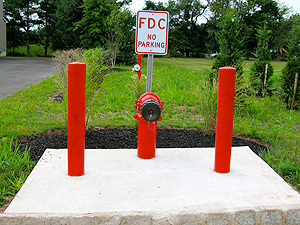 NJ American Water Company is responsible for the maintenance and upkeep of our fire hydrants. If you have adopted a hydrant, please send a picture of your hydrant with your name and the hydrant location to hillsfire.665@comcast.net and we will add it to our photo gallery.